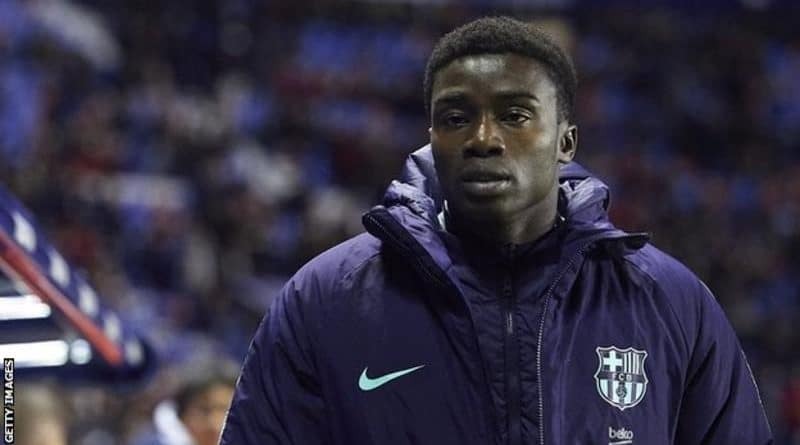 Senegal international defender Moussa Wague has apologised after he was sent off during Barcelona B’s 1-0 defeat at Ejea on Sunday. His dismissal came as he appeared to clash with a Ejea fan during the Segunda B game. “In a moment of anger, with the scoreline against us, I behaved incorrectly and I acknowledge that and want to reiterate my apologies,” he wrote on Instagram. 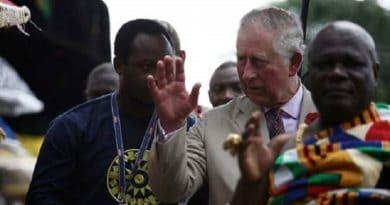 “I also want to emphasise that my actions, in trying to retrieve the ball back from a fan to take a throw-in, came after being the object of numerous and repeated racist insults. 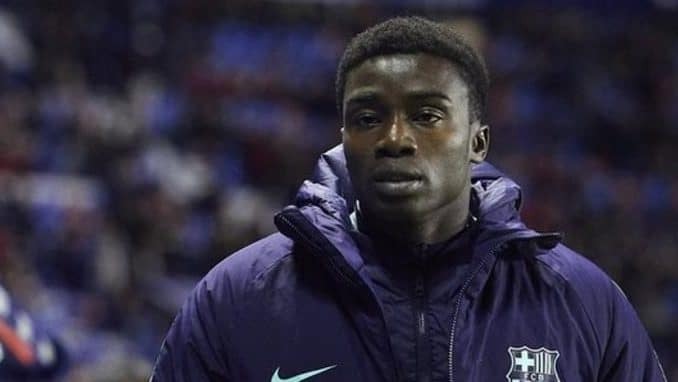 Wague is still awaiting his debut for the Barcelona senior side and so far has played 11 times for the B team since his move from Belgian club KAS Eupen last year. He was an unused substitute as Barcelona lost 2-1 at Levante in the first leg of their Copa del Rey last 16 tie earlier in January. He scored his first international goal for Senegal in a 2-2 draw with Japan in their Group H match at the 2018 World Cup – to make him Africa’s youngest-ever goalscorer at the tournament.